I live in “historic” Ft. Ben. While the majority of my college friends quickly found places in other neighborhoods (I’m looking at you, Broad Ripple) I wanted an affordable, but livable single. Too much time in a fraternity house can do that to a person. Luckily for me, the Ft. Ben area had what I was looking for: single bedroom apartments that wouldn’t fleece my wallet and were just a short commute from my day job. 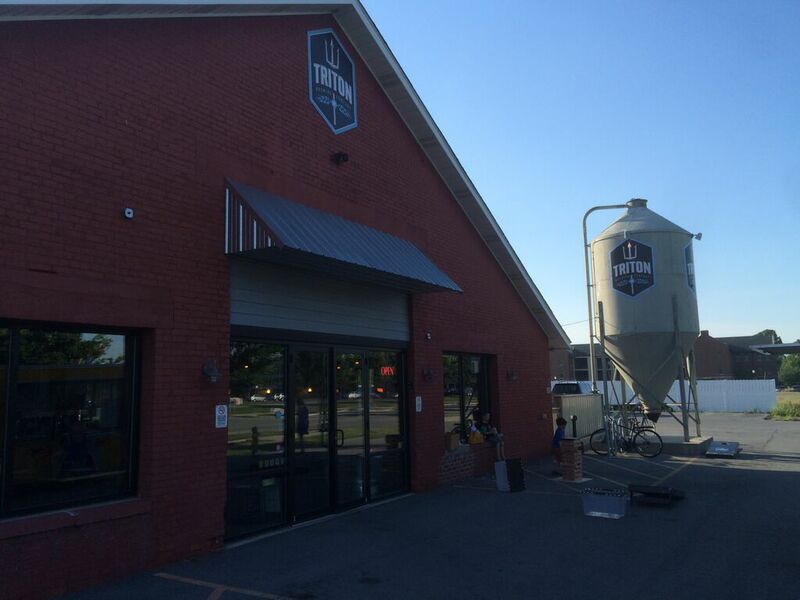 What I didn’t realize is that the Ft. Ben area would be home to incredible growth, as a reuse committee has been guiding development following the closing of the army base in 1995… Translated, I am walking distance from a microbrewery, Indianapolis’s own Triton Brewing Company. What I like most about Triton is their variety of offerings. I’m not just talking about beer here (we’ll get to that) but how they handle food. Rather than operating a stocked kitchen, they keep some basic foodstuffs in house but largely rely on a schedule of food trucks that always sit outside. On days when I’m too lazy to cook my own food, it’s a simple matter of walking to Triton to see whether Mac Genie, Der Pretzel Wagen, or Rolling Asian Delight is whipping up something good. This is also an excellent excuse to go inside, grab a pint, and mooch off of their television package (cable is for scrubs). As far as beer goes, there’s a lot to try and each brew is unique. Apart from Triton’s six staple brews, there are seasonal rotationals and other beers that feel a bit like the brewmaster said “Why the hell not?’ I could describe some of them, but it would honestly be better to show you what I mean. Two of my buddies and I went to the brewery this week and got their sampler. The folks at Triton arranged them in the correct tasting order (based on the IBU’s, or bitterness of the beer) and we went to town. -A wild brew. Very sweet at first but relenting to blooming cotton candy flavors. This was something I had never quite experienced before. -The first sip is all alcohol then an instantaneous sweetness with a dry, intense finish that sits on the tongue. -Hoppy, but light and not heavy like other IPAs. Citrus hints make it very refreshing. -Very, very heavy. This beer tastes like black coffee. You can imagine the grains being roasted before this became beer. This is a stout with character. -Different from the Sly Boogie, the Headsplitter’s overarching characteristic is its smoothness. The malt makes this less bitter than usual and it is super hoppy. -Red’s, Woodchuck, and Angry Orchard marketing, move over. This Belgian tastes like cherry cider that will put hair on your chest. Tart and refreshing. 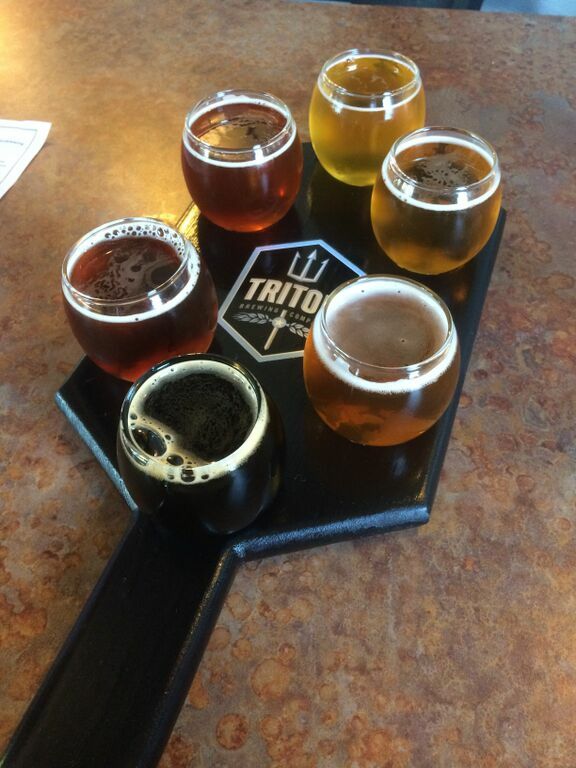 If you’re a beer aficionado, go to Triton. If you like to grab a few drinks and sit outside with a group of friends, go to Triton. If you want to watch the game at someplace with better company than your empty apartment, go to Triton. Fort Ben is blooming and Triton is in the heart of it all!